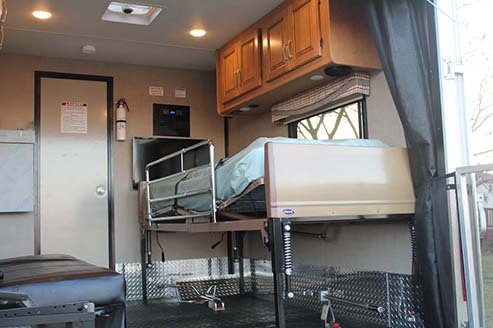 This 31 foot motorhome is converted for medical transport and features the most luxurious way to transport your loved ones. 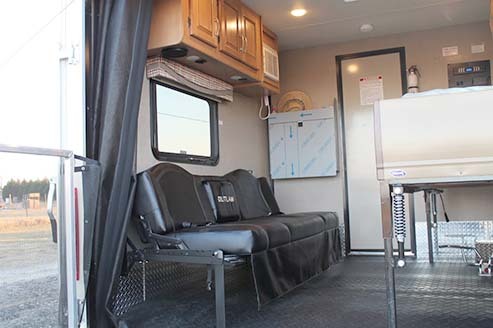 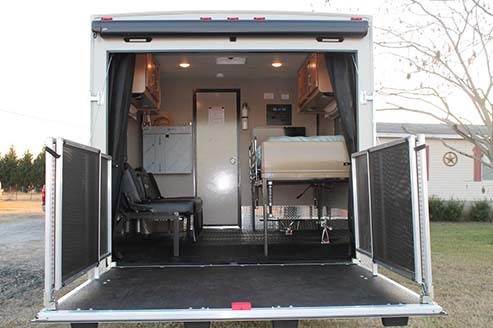 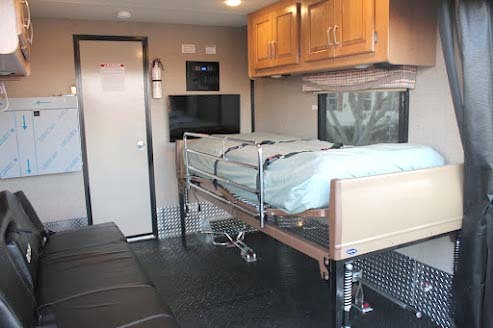 The patient compartment is a spacious separate room with a hospital bed mounted on comfort shocks and equipped with memory foam mattress for the smoothest ride possible. 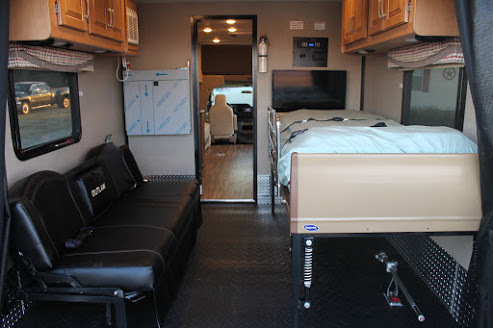 Patient's compartment also has heating and air unit, large flat screen TV, DVD player and on board oxygen. 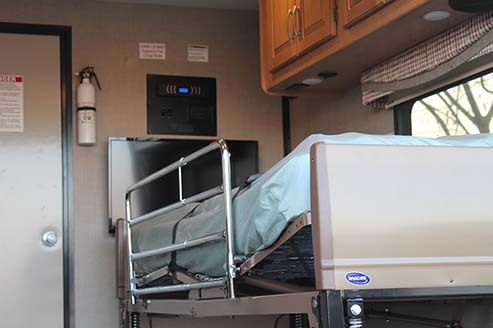 Family member or caregiver can lounge privately in patient area in a reclining captain's chair next to the patient's bed or rest on a full size pull out couch in other lounging area. 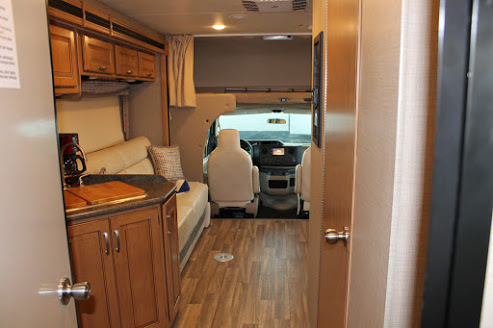 We know how stressful it can be to move your loved ones, so let us take some of the stress out of the trip with Coast to Coast's experienced staff and cozy quarters. 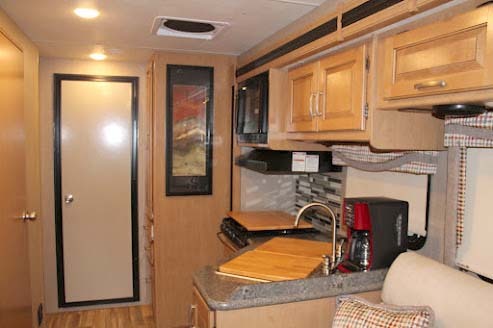 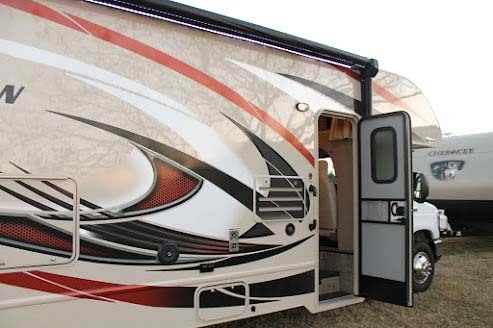 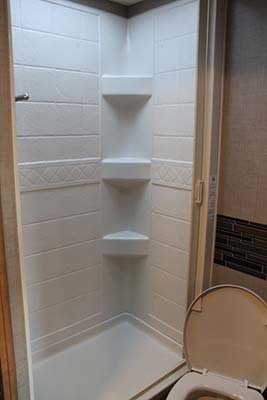 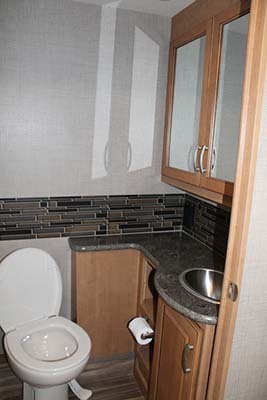 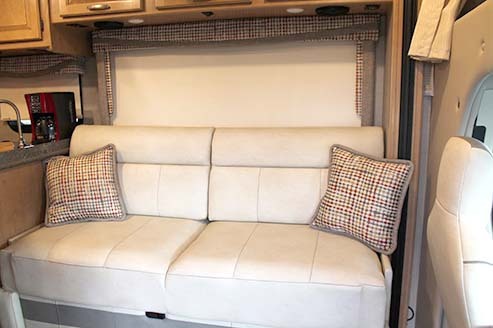 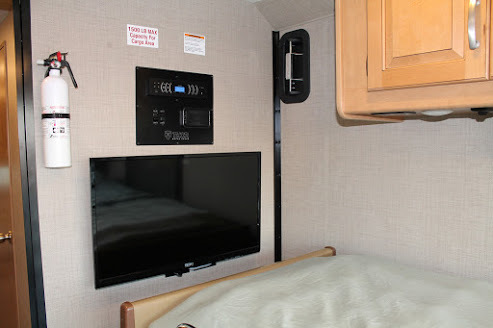 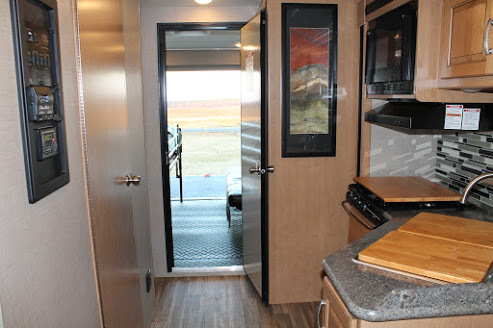 Aboard Coast to Coast's Luxury Medical RV, your family can get comfortable knowing they have an on board bathroom with a shower, In addition, you have a full kitchen including fridge for special dietary needs and plenty of blankets and pillows for the ultimate travel experience. 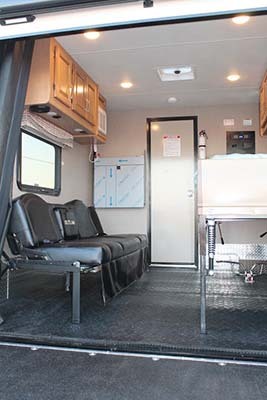 For those long distance transports, this ride makes it easy on everyone.